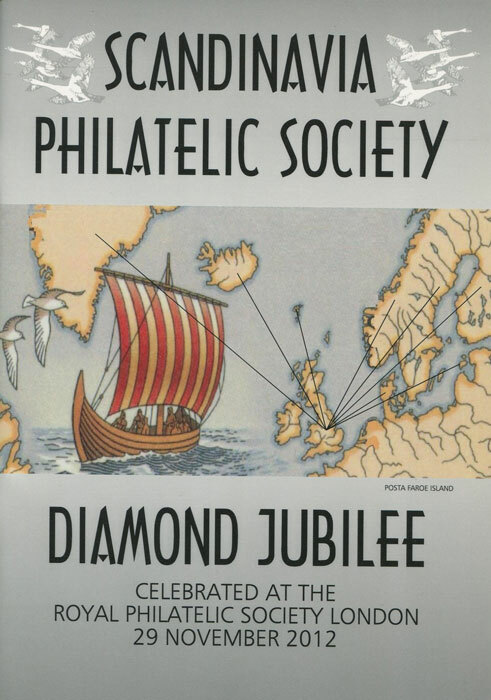 ANON Scandinavia philatelic society Diamond Jubilee. x + 36pp. Fine in card covers. 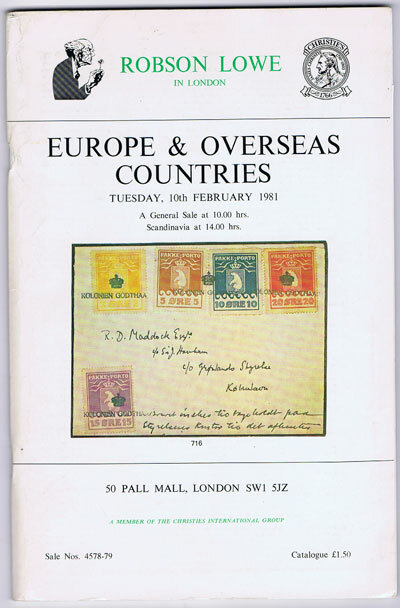 1981 (10 Feb) Europe and Overseas Countries. 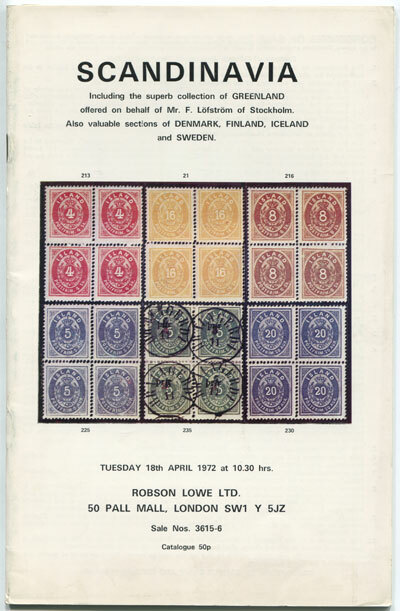 1972 (18 Apr) Scandinavia including superb Greenland offered by F. Lofstrom of Stockholm. 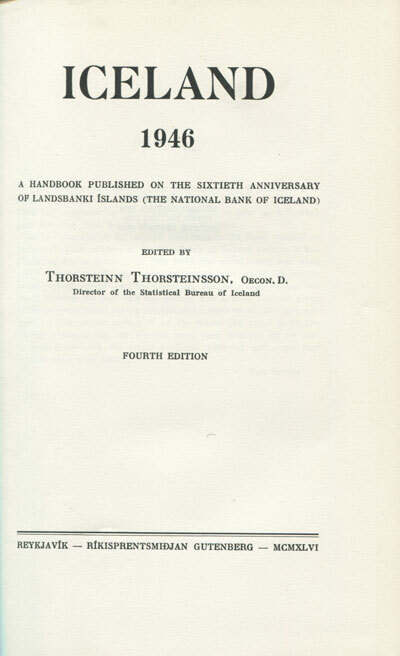 THORSTEINSSON T. Iceland 1946 Reykjavik 1946 295pp + plates and folding map. 4th ed., clean in orig. blue cloth. Fine guide with good illustrations, some in colour.